Hey guys, I’m James Rheinberger from Australia and I’m a new contributor on Drifted. I have been into photography for just over a year and been doing motor sport photography for about 6 months and I am loving everything about it. 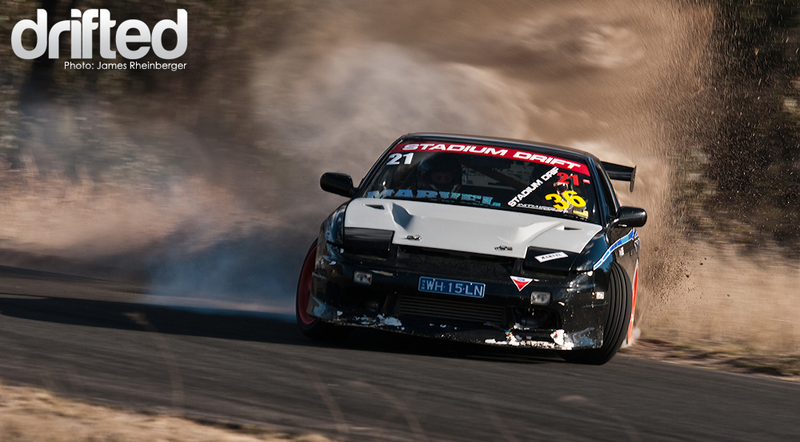 Stadium Drift Pro Tour consists of six rounds on six different tracks, with of course, one winner. 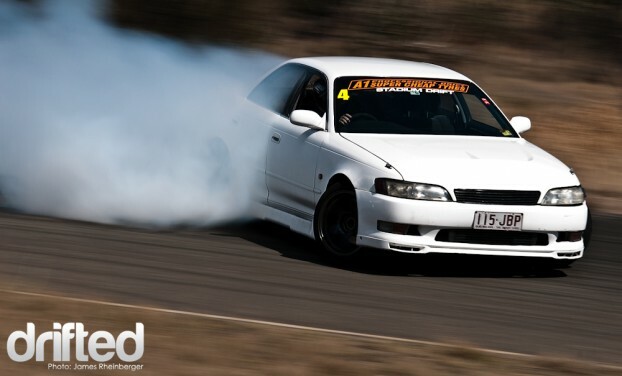 On Sunday a friend and I packed our bags and hit the road for stadium drifts pro tour RD4 which was held at Carnell Raceway in Stanthorpe. We left home at 5am for the 3 hour drive. It was well worth the drive out there, as there was plenty of non-stop sideways action from 9am till about 5pm. 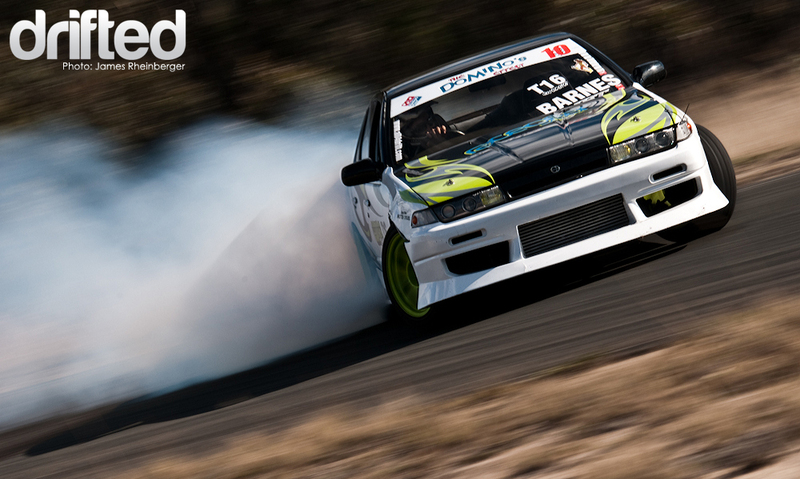 Congratulations to Adam Barnes on taking out the big entry comp. 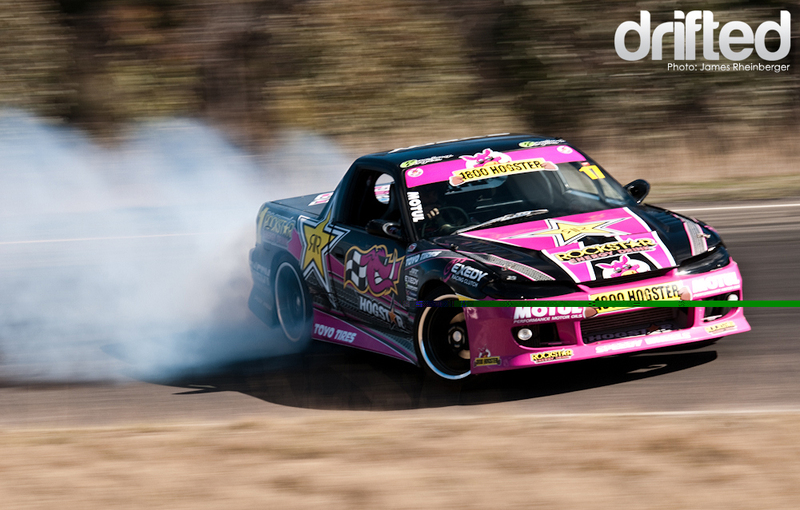 Dan Kenneally went home with 2nd place, now putting him in an overall 3rd place for the Stadium Drift Pro Tour. 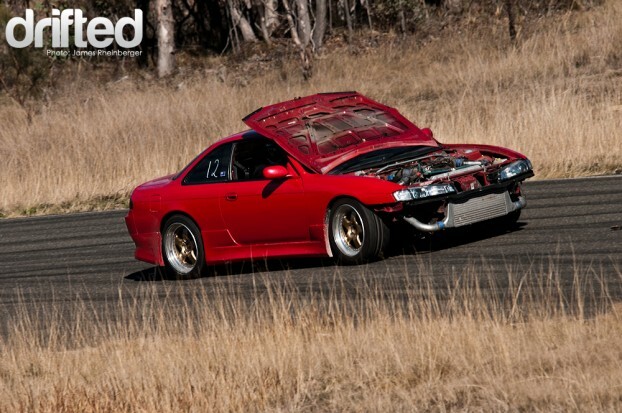 Dan did really well on the day, especially watching him finish his final with only 3 cylinders. 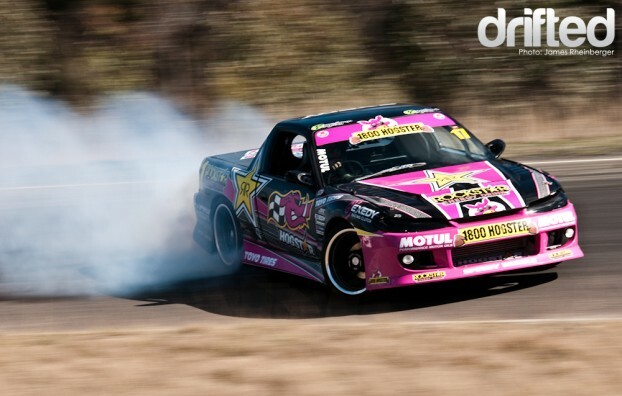 Josh Young is currently #5 on the Stadium Drift Pro Tour ladder. Unlucky for a few drivers who had forgotten their bonnet pins… but a bent bonnet didnt stop them from getting back out on track in no time. 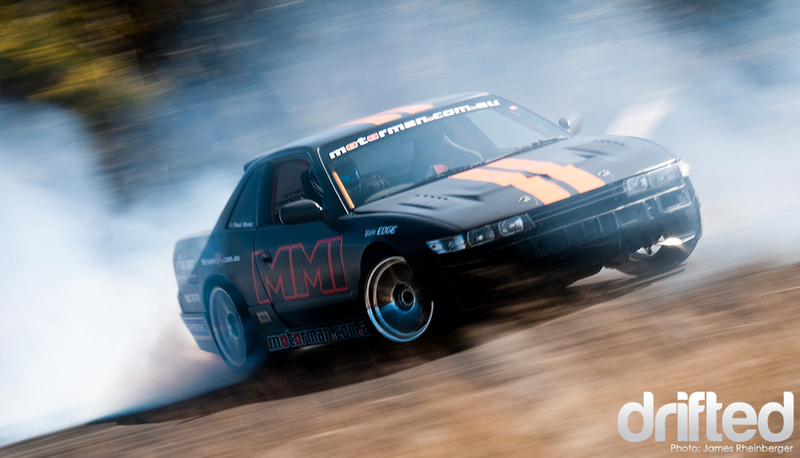 Josh Boettcher in the northfield 200SX took home 1st place in the pro level, whilst Eugene Arendsen in the tokage Soarer took 3rd place in the pro level, and Grant Hartley in his white 180sx went home with 4th place. Scott Maiden did a great job all day. As seen 2 photos up, his bonnet flew open on one of his first rounds, putting a decent bend through it, but that didnt stop him, and within 30 mins it was all fixed and he was back out on track sliding! Half way through the day this car experienced some bonnet issues as well, coming into turn one, but luckily they received no window damage and were back out on track in no time. 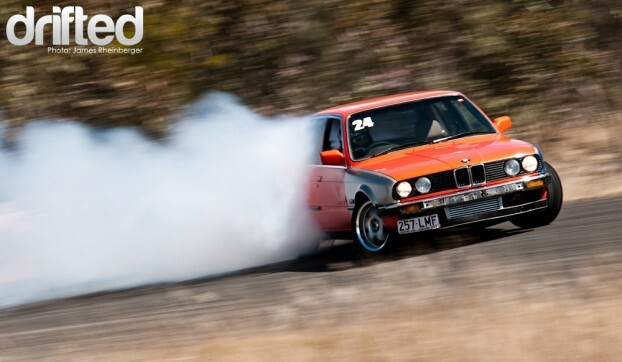 Callum drives this E30 BMW fitted with a 1JZ. He did an awsome job throughout the day. This car is amazing and sounds great! Keep an eye out as RD5 is just round the corner!! You can find more of my photos on my Flickr Page. 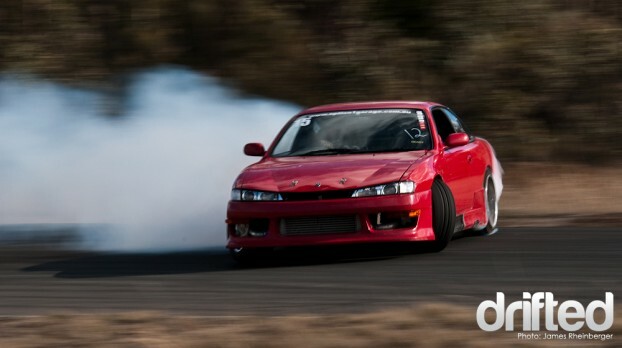 « COMPETITION: Win JDM Allstars Wembley Tickets!